Old Oscilloscopes want to live forever. 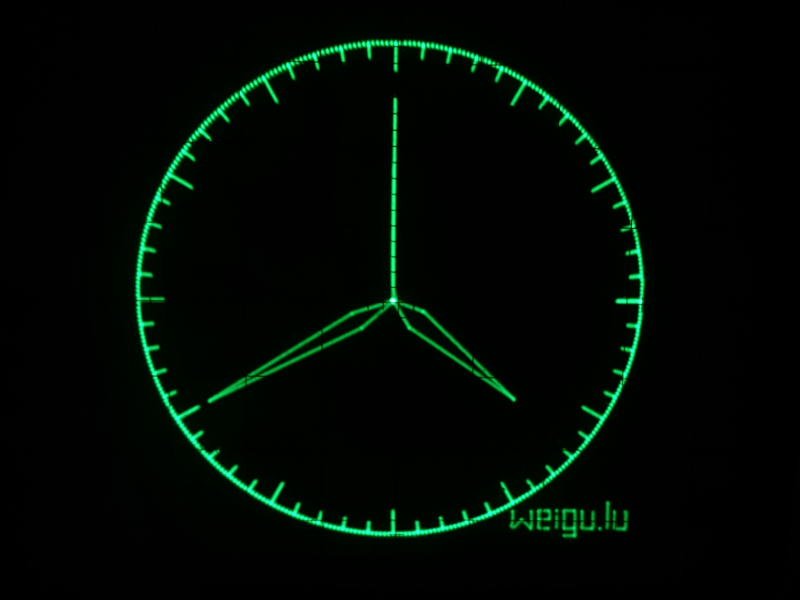 To do so, here is the oscilloscope clock. 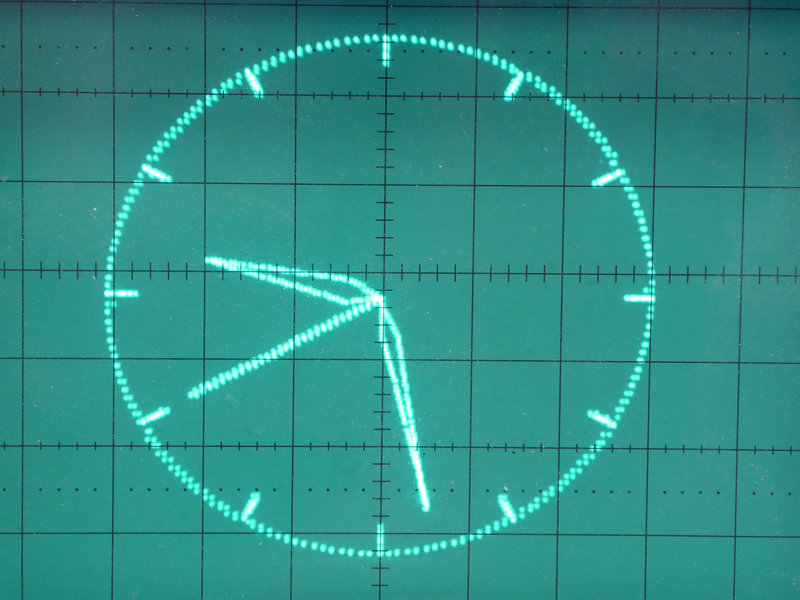 The code is written to get a clear image of a clock with no ghost lines. The hands are drawn beginning from the origin and back to the origin. Strokes are drawn during drawing the circle. 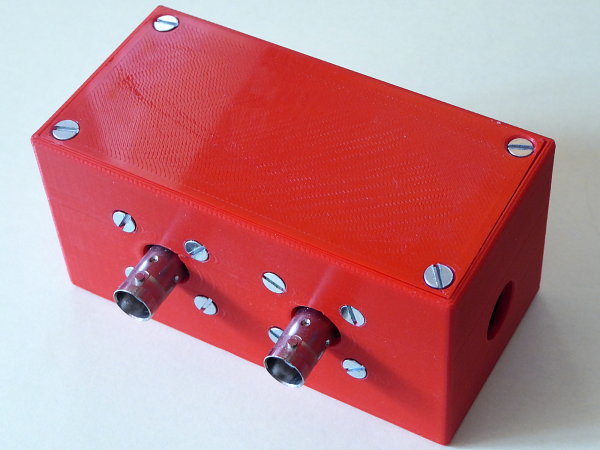 Teensy 3.6 with internal RTC is quick enough to use mathematical functions. With his two 12 Bit DAC, the picture is rock stable and sharp. 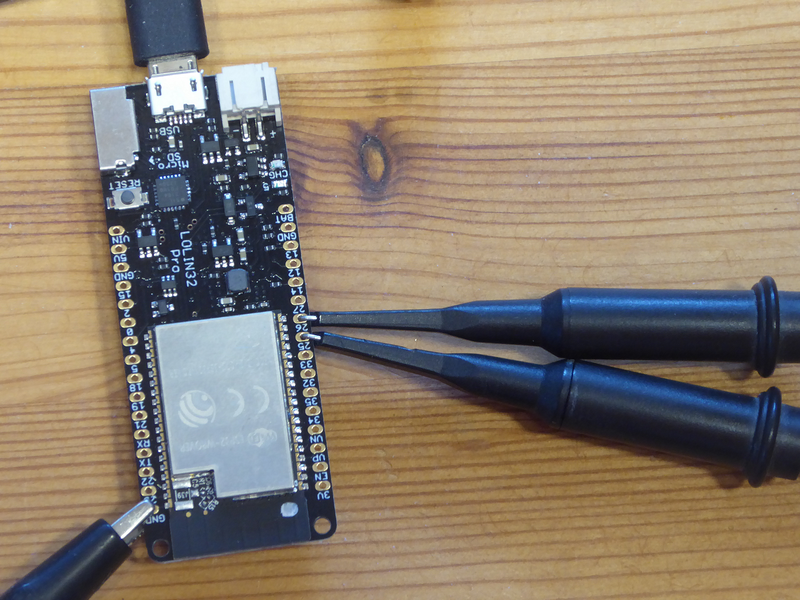 The only hardware needed is an external battery for the RTC. The Teensy has no direct connection to the Internet and no DCF77, so the time may be getting imprecise over the year. The new ESP32 has also two DAC with 8 Bit and the possibility to get the time over Internet, but it is not quick enough to use mathematical functions because of his operating system running in background (RTOS). It was even necessary to create tables for the circle and the hands and to reduce the points of the circle to 180 to get a stable non flickering image. So the best solution is the Teensy with an ESP8266 to get NTP from Internet. 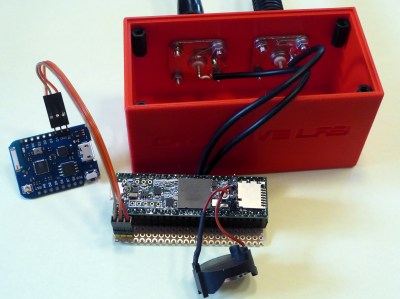 The ESP8266 is sending once a day (4 AM) the time to the Teensy. If synchronising in the night was successful the text "NTP" is displayed until 18 hour. 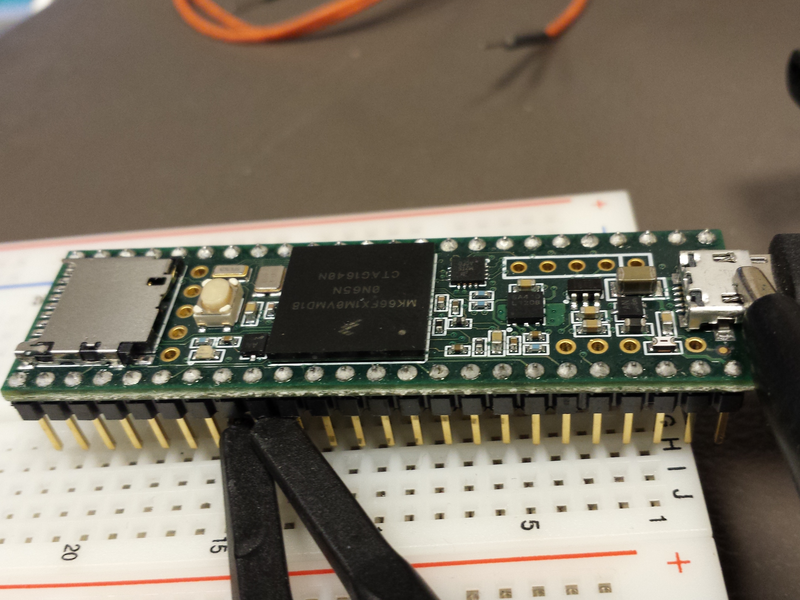 Teensy 3.6 has an internal RTC (and crystal) and 2 DAC with 12 Bit. 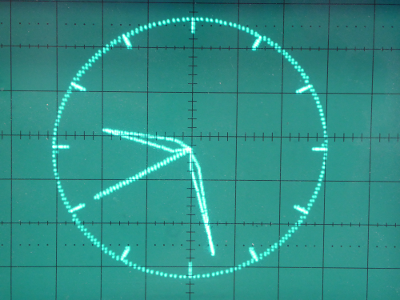 So no other hardware is needed then the Teensy-Board to create a nice oscilloscope clock. All the magic is in the code. The Teensy is quick enough to calculate the needed points for the clock, so we can omit tables. The clock strokes are drawn from the circle line back and forth, so no ghost lines appear. Same thing for the second line and hands. The resolution can be changes from 8 Bit to 12 Bit. 12 Bit gets a real sharp, steady nice image of the clock. The best solution is adding an ESP8266 to get NTP from Internet. The ESP8266 is sending once a day (4 AM) the time to the Teensy. Her is the Arduino code with ESP8266 (D4, TXD) connected to pin1 (RXD1). The other code (for ESP8266 or Teensy without ESP) can be found under Downloads at the endof the page. The ESP32 (Lolin32) don't need additional components. Find the freecad file and the stl files under Downloads. I used 4 hole flange mount BNCs from my stock with 19 mm distance between the holes. Perhaps you have to adjust the distance in the freecad file. The little piece of breadboard that holds the teensy is glued with hot glue to the bottom of the case.